Some bears like to walk. This bear prefers to ride to its destination on a garbage throne. 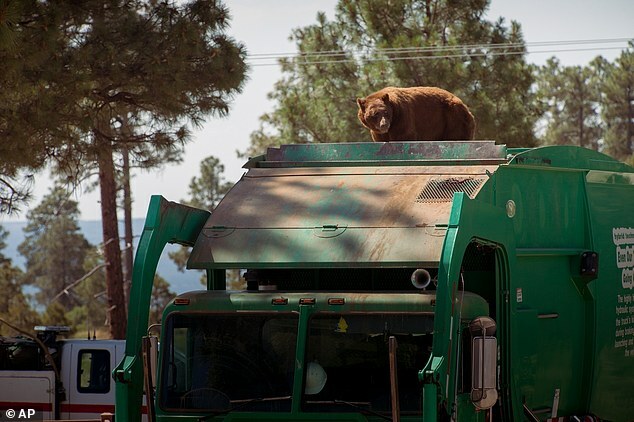 A hungry bear looking for a little grub in Los Alamos, New Mexico was recently spotted hanging out on top of a garbage truck. 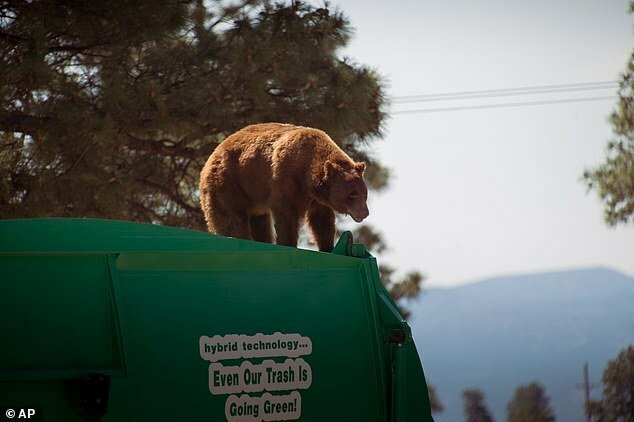 A bear has hitched a ride on top of a garbage truck in the American state of New Mexico, travelling at least five miles on the vehicle before it was able to make its escape up a tree. 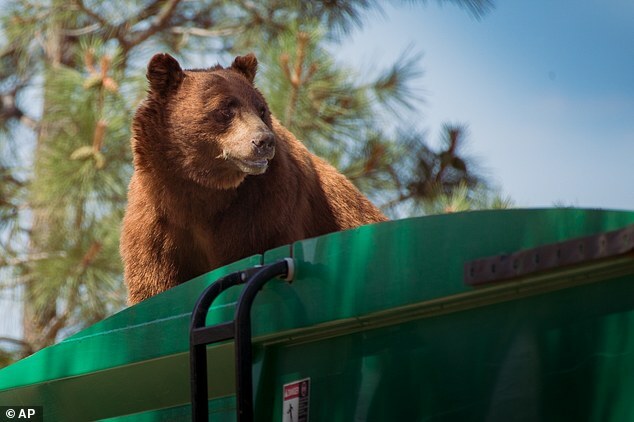 The driver was picking up a dumpster last week when he heard a squeal then realised the bear was on top of the truck, said a spokeswoman for Santa Fe national forest, Julie Anne Overton. It rode on top of the truck to a site where the forest service keeps a firefighting helicopter. Helicopter mechanic Evan Welsch, who snapped photos of the bear, said about 30 forest service and national park workers gathered around to see the animal. The driver then backed up near a tree to give it an escape route. The animal then clambered into the tree and stayed up there for about an hour or two before scurrying down and running off. 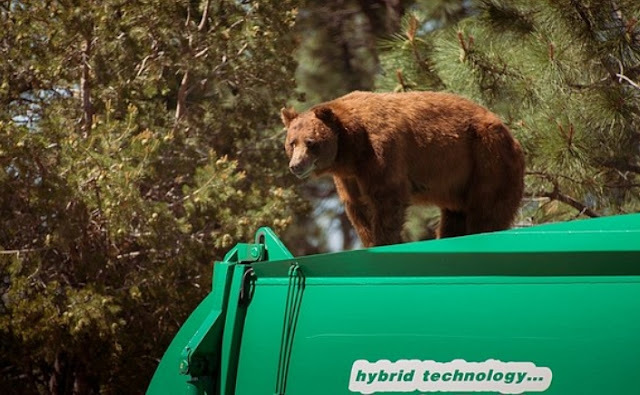 Responses to "Bear hitches ride on garbage truck for five miles in New Mexico "